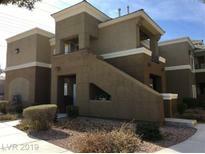 Below you can view all the condos for sale in the Southern Vista subdivision located in Las Vegas Nevada. 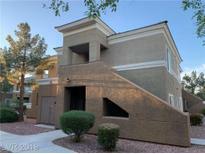 Listings in Southern Vista are updated daily from data we receive from the Las Vegas multiple listing service. To learn more about any of these condos or to receive custom notifications when a new property is listed for sale in Southern Vista, give us a call at 702-323-5991. New tile floor and counter tops. All appliances are included. MLS#2088473. Realty ONE Group, Inc.
Clean 2 Bedroom Condo On 2nd Floor*upgraded Kitchen With Granite Counters* Carpet In Family Rm & Bedrooms*tile Flooring In Kitchen, Bath And Shower Area*balcony*all Appliances Incl'D*community Has Pool, Spa, Exercise Room And Tennis Courts*gated*basic Cable Incl'D*club One Condominiums*convenient Location*condo Is Close To Community Clubhouse/Pool*assigned Pkg*well Maintained Community*tenant Occupied Thru 8/31/19 - Bring Your Investors! MLS#2074302. RE/MAX Excellence. 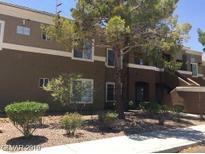 2 Bedroom, 2 Bath CONDO on second floor in desirable SOUTHWEST location. All appliances included. NEW carpet ! MLS#2068131. Shelter Realty, Inc.
*cozy Condo Located On The Second Floor*gated Community With Access To Pool, Spa, Clubhouse And More*hoa Includes Cox Cable*conveniently Located Near Dining, Shopping, And Major Transportation Routes*condo Features An Open Floor Plan*bright And Airy Atmosphere*plenty Of Cabinets In Kitchen With Laminate Counters And Breakfast Bar*two Spacious Rooms*mirrored Closet Doors*large Balcony Overlooking Community And Can See Strip From Unit* MLS#2067536. Keller Williams Market Place. Pool, fitness center, and tennis courts on-site. 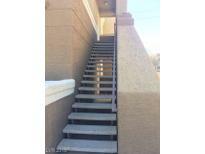 MLS#2057679. Realty ONE Group, Inc.